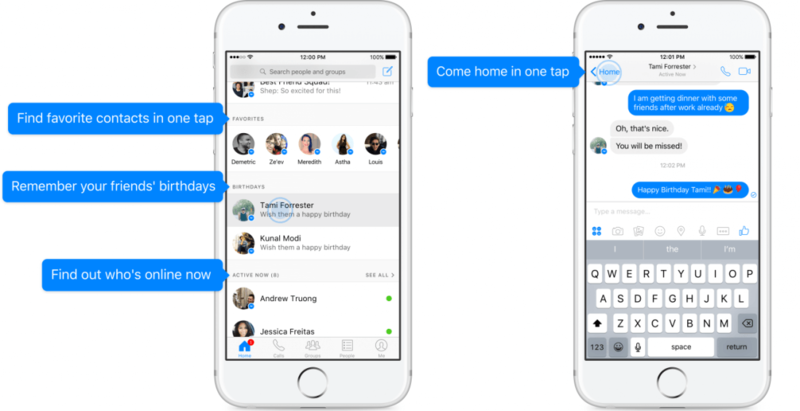 Facebook is continuing to evolve its Messenger app. Following the announcement earlier this week that built-in SMS support had returned to the messaging service on Android, the social network has just announced that its incredibly popular application wiill be receiving a revamped look. Messenger’s redesigned homepage keeps the most recent conversations at the top, but scrolling past them will reveal a new section that shows your favorite contacts. It contains the family and friends you engage with most on Messenger. Beneath this is a new section that reminds you of people’s birthdays. Not that Facebook itself doesn’t have enough ways of alerting you when a person you barely know gets another year older. The final and arguably best new part of the Messenger update is the “Active Now” section. It works in the same way as the chat sidebar found on the desktop version of Facebook, showing a green dot next to people who are currently online. 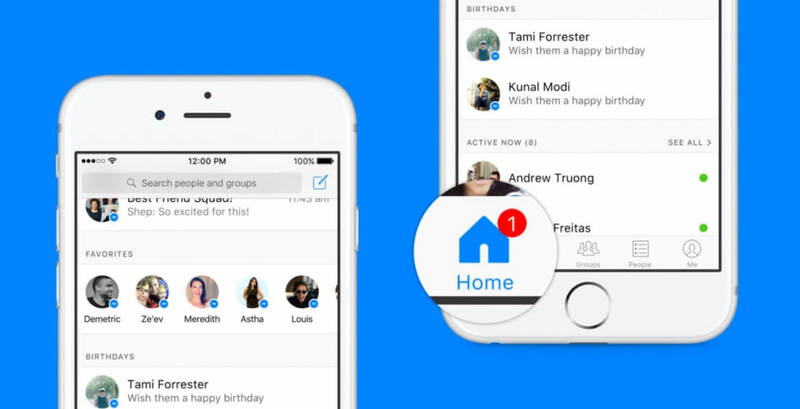 There’s also a “see all” option that brings up a list of all friends that are available on Messenger. Facebook didn’t say when Messenger’s 900 million users can expect to see its new look, but the rollout probably won’t take long to get here. The company didn’t mention which platforms will be supported but, seeing as it’s only shown iOS images so far, it may arrive on Apple’s handsets before coming to Android. They can muck about with their app all they like, it's of no interest to me, just as long as they keep their greedy, kleptomaniacal mitts off WhatsApp.